A dog that loves to herd anything. 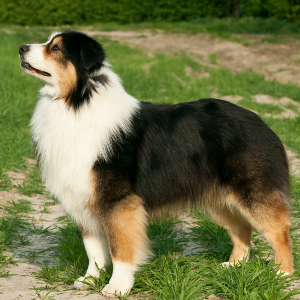 Very intelligent, obedient, active, energetic, and watchful dogs. 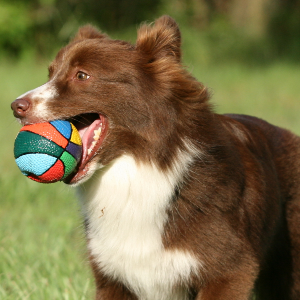 Australian Shepherds seem to enjoy dog sports such as herding, agility, tracking, flyball, Frisbee, rally and competitive obedience. 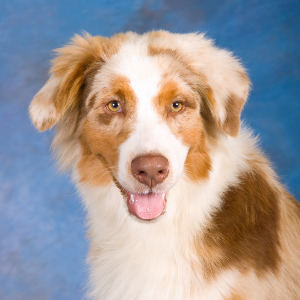 Herding tendencies may lead to chasing cars, herding children, or barking. 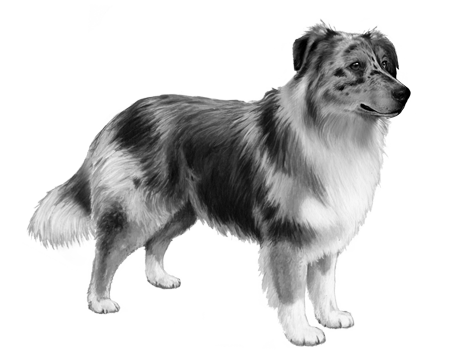 With a name like the ‘Australian Shepherd’, it’s not surprising that many people don’t know that these alert dogs began life in the United States. 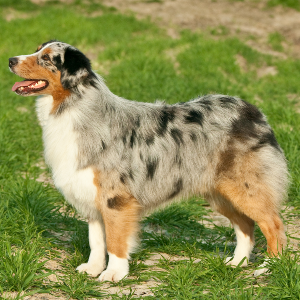 In the 1800s, Basque Shepherds that were living in Australia were brought over to help breed a new kind of herding dog. The ‘Aussie’ (as they’re sometimes affectionately called) grew significantly in both population and popularity after World War II. In recent decades, they’ve become known for their work at rodeos and horse shows. 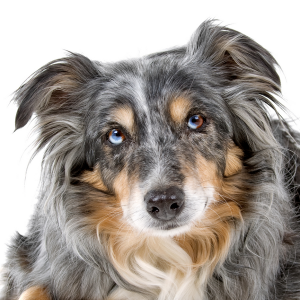 For a dog that loves to herd anything (be it cars, children or other pets), the Australian Shepherd is also known for being a follower –they’ll follow you absolutely anywhere. It’s what makes them such loving and loyal pets.